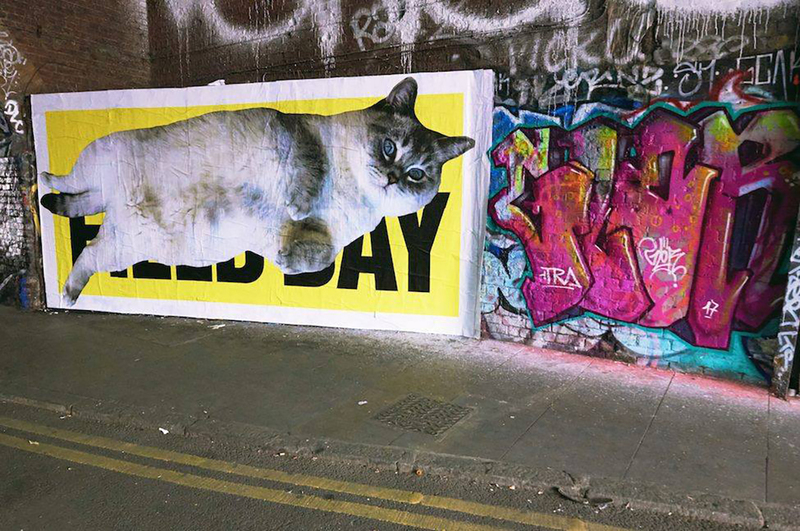 We spoke to Tom Baker, the founder of Field Day Festival in London about this year’s amazing line up and how the cat-tastic design came about. He also put together a playlist to get you in the mood! Can you tell us how the idea of setting up Field Day came about? 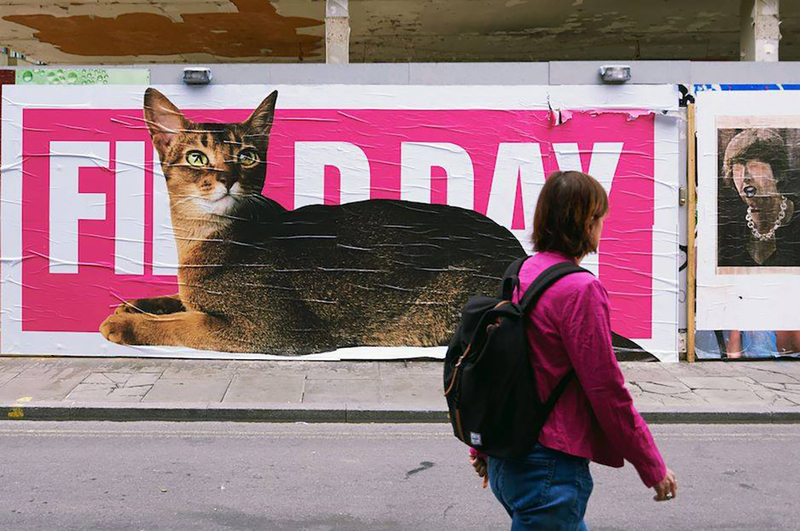 We couldn’t help but notice this year’s unusual cat-tastic design on posters and other merchandise. Why cats and not bands? It’s all about the cats!! Everyone loves cats… Have you noticed that now the cats have Aphex Twinlogos for their eyes?! 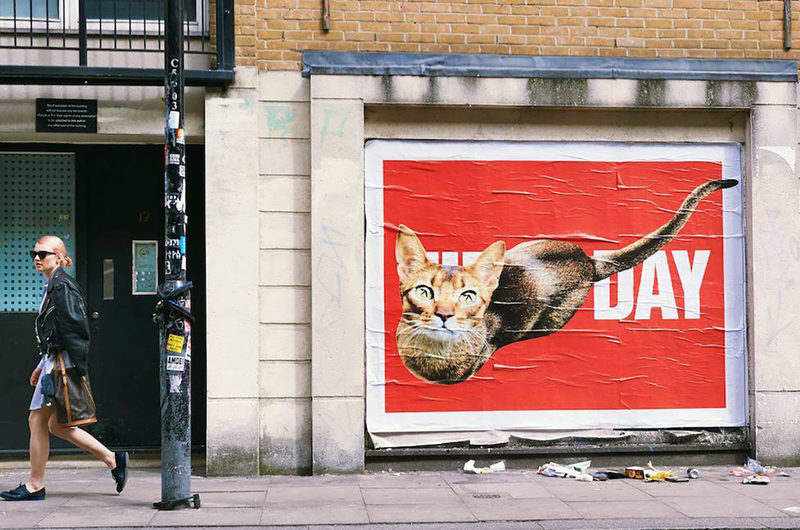 They are striking and playful and we have engaged people to send in their own cats, which people really loved. 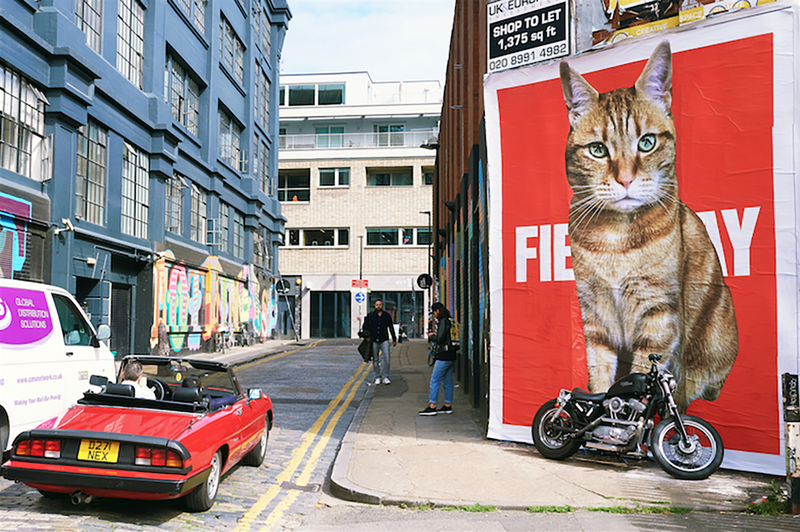 How did you choose such purr-fect poster girls? Well, the fans of Field Day chose them. We asked people to send them in and we chose as many as we could. Since it’s impossible for one person to experience everything the festival has to offer in one day, what are your top 5 unmissable things to do? Aphex Twin’s megatastic set in the gigantic and incredible tent ‘The Barn’. The Eating Competition in particular, as part of the Village Mentality program in Village Green. Eating as much as you can at Street Feast and drinking as much as you can at the Brewers’ Market. Slowdive playing their new songs for the first time live in London. Run The Jewels mesmerising Eat Your Own Ears main stage headline set. Do you think Run The Jewels will perform anything from their 2015 album Meow The Jewels, to go with this year’s cat vibe? 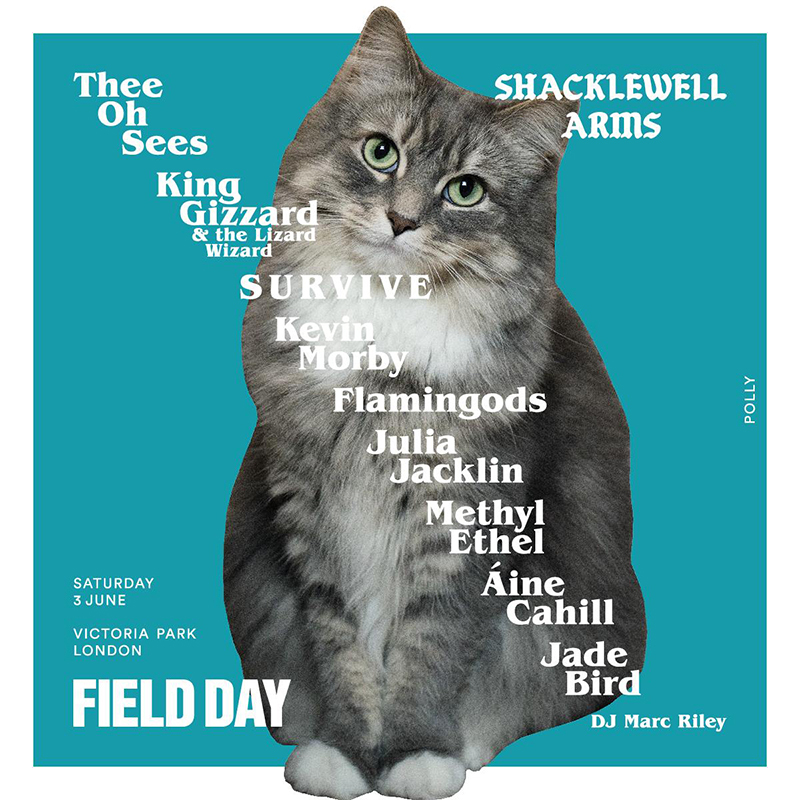 They are actually bringing 1000 cats to Field Day to perform alongside them. We had to build glass boxes to put them all in. I’m sure the past decade gave you plenty of remarkable memories. Could you recall one or two to share with our readers? Caribou closing Field Day in 2015 was a special moment, since they became friends of the festival after playing there for the first time ever in 2007. 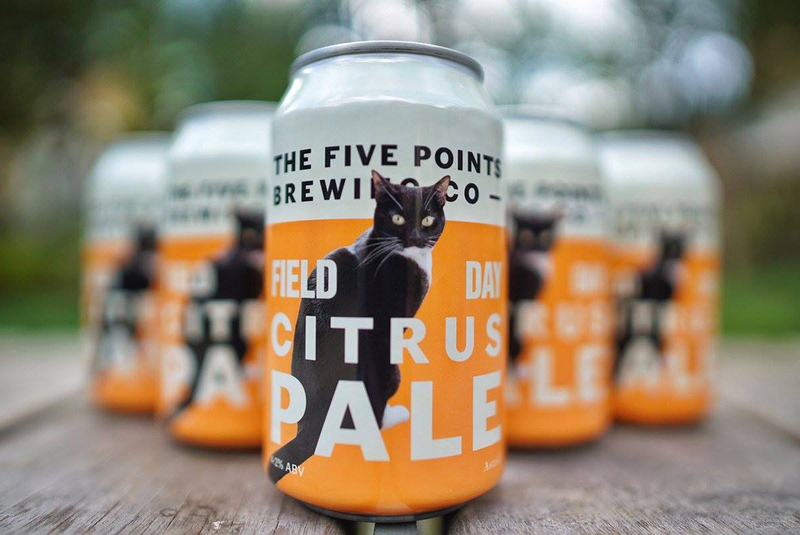 Assuming not all of your Field Day dreams have already came true, what can the audience expect from future editions?